As a San Francisco nursing home abuse law firm, we have seen far too many cases involving the neglect and maltreatment of vulnerable individuals. The law is supposed to help prevent these cases, but a recent headline draws attention to dangerous gaps in both law and practice of senior care in California. In this post, we present a story in which many people contributed to a shocking case of nursing home abuse. However, we cannot present this story without also noting the story’s heroes, people who chose to act with compassion and heart when they saw dangerous neglect and who refused to be part of the problem. Reporters with The San Francisco Chronicle are following an unfolding story of a system that placed the residents of a Castro Valley assisted living facility in danger. California’s Department of Social Services ordered the closure of Valley Manor Residential Care, located at 17926 Apricot Way, effective Thursday October 24. Details relating to the closure process, including the role of the Department and the center’s management, remain to be discovered (Note: A later report carried by ABC cites the Department’s complaint which details a history of violations at the facility, including severe understaffing). However, it appears that most of the staff left the facility on or prior to Thursday’s closure date. On Saturday, according to Alameda County sheriff’s deputies, paramedics were called to the site. Upon arrival, they found the posted closure notice on the door. Inside, they found fourteen sick and elderly patients still living in the building. Thankfully, some staff members showed heart and stayed at the facility, despite not being compensated for their services. These staff members, whom we consider the heroes of an otherwise upsetting event, included a cook, a janitor, and a single caretaker. After the paramedic’s discovery, the fourteen patients were transported by ambulance to other care facilities in the county. Sheriff’s Sgt. J.D. Nelson told reporters that the transportation process was not easy, noting that there were bedridden and wheelchair-bound patients as well as individuals with mental problems. 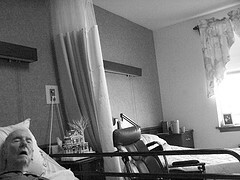 Perhaps miraculously, none of the patients appear to have suffered further health issues as a result of their abandonment. Deputies are still trying to confirm if there are any patients who are not accounted for and who may have wandered off from the facility. A lot is unclear, but what is clear is that someone, likely many “someone”s, should be held accountable for the abandonment of these patients. Civil liability may include both public and private entities. This is the sort of complex case that requires a law firm with experience in nursing home law, a firm like the Brod Law Firm. It is also the sort of story that reminds us that terrible circumstances often bring out true heroes, such as the staff members who stayed and who are no doubt responsible for the fact that the 14 patients lived through these events. While our elder abuse practice involves some truly horrible cases, it is always important to remember that there are quiet heroes among us. We give thanks to the good-hearted staff members who stayed behind and to the many (often unrecognized) people throughout our region who are committed to helping care for our seniors.